A remote or online backup service has become quite an important tool for those of us who travel a lot and require some of our files on the cloud for easy access anytime and any place with Internet connection. It can also be useful for users who need to sync some of their data across two or more computer machines most of the time. An online backup system is usually built around client software that runs on a schedule, but some can work continuously, backing up files as they are changed. It collects, compresses, encrypts, and transfers the files to the remote backup service provider's servers. 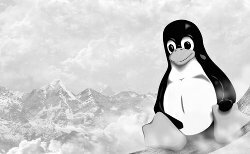 I have here a list of some of the best online or remote backup services for Linux. Most of these tools/services can backup and synchronize files across different operating system platforms, which should be really handy if you are using more than one OS. At the moment, Dropbox is my favorite online backup service for its simplicity and ease of use. It is cross-platform and has desktop clients for Linux, Mac, and Windows, but it can also be used through its web-based client. Dropbox also has native applications for popular handheld devices such as Android, BlackBerry, iPhone, iPad, and a few others. With Dropbox, you can just drop or copy any file into a designated folder that is then synced to the cloud and to any other of the user's computers and devices with the Dropbox app. You may also upload files manually through a web browser. Dropbox provides 2 GB of free online storage but a paid option is available for bigger storage size and for other premium services. ZumoDrive is a file synchronization and storage service that enables users to store and sync files online and between computers using their HybridCloud storage solution. Like Dropbox, it has cross-platform clients for Windows, Mac, Linux, iPhone, and Android, and also has a web browser interface. Files in the ZumoDrive virtual disk can be shared with other ZumoDrive users. The ZumoDrive service is unique when compared to other file sync and storage services in the sense that it appears local to the filesystem and can be streamed from the cloud on demand. Users can have 2 GB of free storage space and may upgrade to paid plans ranging from 10 GB to 500 GB for a monthly subscription fee. ADrive is an online backup, file sharing, and data storage service that provides an amazing 50 GB of free storage (largest amount of free storage and backup on the Internet) for its Basic Account holders. Paid subscribers can have additional storage and services like multiple connections, FTP with timestamp support, WebDAV, and file history recovery. ADrive has an easy-to-use browser-based file manage that is compatible with Windows, Linux, and Mac. Ubuntu One is Ubuntu's very own storage application and service with a client application available only for Ubuntu 9.04 and newer. The client side is written in Python and uses Twisted for its low-level networking and Protocol Buffers for protocol description. What makes Ubuntu One different from other similar service providers are additional features like its integration with other applications such as Evolution and Tomboy. Ubuntu One offers 2 GB of free storage but users may upgrade to 50 GB for $10 per month. SpiderOak is a cross-platform online backup and sharing tool that provides users with off-site server for data management. It differentiates itself from competition in administration of encryption and in automatic de-duplication of data. While some services can only backup a specified folder like in DropBox, SpiderOak allows you to backup any given folder from your computer. It also features a Fault-Tolerant Design, hence no file is ever removed from a user account before he manually does it through the client. SpiderOak offers a free 2 GB account, as well as a paid subscription for premium services. Wuala is a social distributed file-system-like online storage service that allows users to have as much online storage as they give to other Wuala users. Its interface is comparable to a file manager but afar from the common file operations, it allows the user to easily share files with friends, in groups or with the rest of the world. Every user starts with 1GB of online storage but can get more space either by trading local disk space, by buying additional storage, by referring it to their friends or by using the promotion codes. Jungle Disk is an online backup service that was highlighted by Amazon as one of the earliest S3 clients. It has the capability to periodically back up selected files or folders, and provides a local webdav server and a local web interface that synchronize to the user's S3 account, alternatively encrypting backed up data on the client side. The basic Jungle Disk software is sold as a monthly subscription model. It provides a hosted web interface and more advanced backup functionality for a monthly fee. CrashPlan is a a cross-platform backup software that allows users to back up their data to an offsite data center, desktop computers belonging to friends and family, as well as to shared folders. For personal use, a free version is available that offers basic functionality. For enterprise, CrashPlan Pro is available with a bunch of powerful features. Data are encrypted using 128-bit encryption for the personal CrashPlan, while 448-bit Blowfish encryption is used for CrashPlan Pro. There are probably other good online backup services for Linux, so it's up to you our dear readers to share them with us via comment. You may also check out our list of backup software for Linux, and our other collection of Linux backup software. I just posted a blog about Google Chrome OS's imminent entry sometime in the fourth quarter of this year and its implications on storage - whether online or local. As we know, Chrome OS is also Linux-based, so it's pretty much related to your post. Online backup certainly bear's a lot of promise. I'm a Dropbox user myself. Some of the services you mentioned above are very attractive, what with the free 2GB space. That's double what you can store on Google Docs. Since Google Docs now accepts all types of files, this is my contribution to your list. I personally think users should put a premium on security when choosing from among these options. Based on your review, looks like Crashplan is the most assuring on this regard. Great post this is. Simple and nice layout of your article. Dropbox is differently a good backup service. I use dropbox and use mozy to backup dropbox. I see that you haven't included Carbonite and iDrive in your review as they are also quite big in this industry as online backup provider's. I don't like iDrive though, due to their bugged software and slow connections. What do you think of those? Different services for different needs. Dropbox does a brilliant job at synchronization. If you don't want files downloaded to all your machines, I recommend Wuala, since files and directories appear local to your machine, and sharing disk space is a great idea. Great list. While I like Dropbox, and use it myself, I would not consider it a proper backup service though. It is more an online storage service. Yes it has some backup like features, but the fact that it only saves changes to files in its own folder or through symbolic links means it can easily miss files and folders that are not included. Yes dropbox is only for personal use for those who just wants something very simple solution to sync across multiple systems. For more advanced I see a lot of great feedback's for backblaze. Dropbox is great, it offers a service that would put the leading PC services to shame. But my hat goes out to these guys, becuase most backup services were ignoring our needs. I like and use R1Soft's CDP system. More geared to servers but I spent a year looking for systems that provide reliable bare-metal recovery for servers as well as XenServer. The company I work for now has 4 backup arrays in different cities. R1Soft gets my vote for larger deployments. Nice write up. Tomahawk Backup is hands down my favorite for Linux. Actually I don't think I've had an unsuccessful backed in 6 months. It's straight up off-site backup with retention... no syncing and sharing and all that mess. Dropbox is a great service, but the store themselves the encryption keys, allowing them to read the info you backup. Wuala and SpiderOak don't do this. You shouldn't recommend Dropbox as a backup service, since it is NOT a backup service. This often confuses the common user, and the confusion shouldn't be augmented by professionals. The point about a backup service is that when a file disappears from your main storage, the file still exists in the backup for retrieval, should you want this. When you delete a file from Dropbox, it is also deleted at the other end-points as soon as Dropbox can make an update (instantaneously, if all endpoints are online). Thus, it is a syncronization service. @LANerd well said. Backup is a lot more than sync. With backup you *should* be able to browse and retrieve versions of a file. A backup solution doesn't delete your backup if the original "disappears". Dropbox is not backup (but a great sync service none the less). For server backup I would recommend Mysafeport (www.mysafeport.com). It is offsite cloud based (Amazon S3) backup and recovery service for Servers.